A group of scientists believe they’ve uncovered at least some of the genetic risk factors that can contribute to a common health concern among men: erectile dysfunction. Their findings, published Monday in Proceedings of the National Academy of Sciences, have possibly identified a specific place in our genome linked to the distressing condition. Erectile dysfunction affects one-fifth of men over the age of 20 in the U.S., according to a 2007 study. But the chances of having it go up as men age, and men who have conditions like cardiovascular disease or type 2 diabetes are also more likely to experience it. Scientists have long suspected that genes play a role in erectile dysfunction, based on studies of twins. But it’s been difficult to find exactly where this added risk could be in our genome. In the current study, researchers in the U.S. looked at the genes of nearly 37,000 men who were members of Kaiser Permanente, America’s biggest managed care organization, and who had volunteered their medical information and records. In these men, they identified a spot along the sixth chromosome that was associated with an added risk of erectile dysfunction. This location—known as a locus—was found near the SIM1 gene. Having certain variations of this locus, the researchers found, was associated with a 26 percent increased risk of erectile dysfunction. The added risk was seen even when taking into account other known contributing factors, such as body weight. And the same link was seen when they looked at the genes of more than 200,000 men in the UK who were enrolled in a similar database. “Identifying this SIM1 locus as a risk factor for erectile dysfunction is a big deal because it provides the long sought-after proof that there is a genetic component to the disease,” the study’s lead author, Eric Jorgenson, a scientist at Kaiser Permanente Northern California’s Division of Research, said in a statement. The gene SIM1 is known to encode proteins that help regulate body weight as well as erections in men. And the researchers think that something in the locus—namely other genes—influences how the SIM1 gene is expressed, either turning it off and on or enhancing its activity. In people genetically vulnerable to erectile dysfunction, this chain of command might not be working as intended. 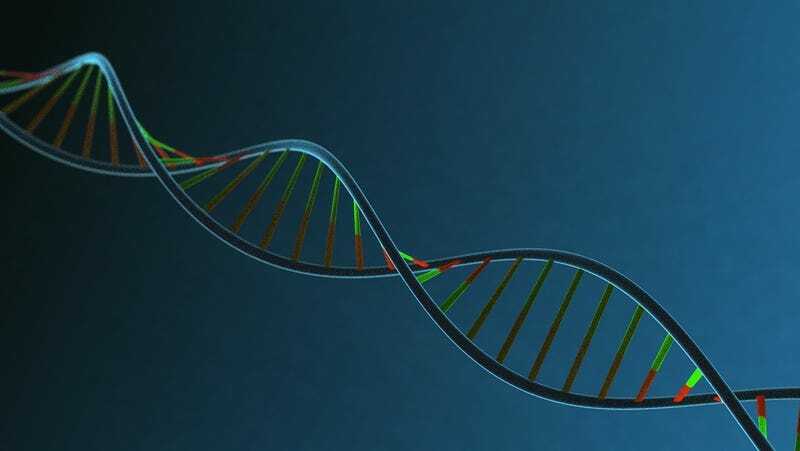 In their paper, the team made it clear that other researchers are likely to find even more genetic risk factors for erectile dysfunction. And in fact, some already have. Earlier this March, a team in the UK released research in the pre-print journal bioRxiv that found an association between the condition and another gene locus found near SIM1 (research papers submitted to bioRxiv don’t undergo peer review, but they may be published later on). Jorgenson and his team believe the approach of using large patient genetic databases will help discover new targets for drugs that can help both men and women. While well-known drugs like Viagra have been used to great effect for many men with erectile dysfunction, they don’t come without risks. And some men don’t respond to these treatments at all. Sexual dysfunction in women, meanwhile, has been a much harder problem to address using any drugs.